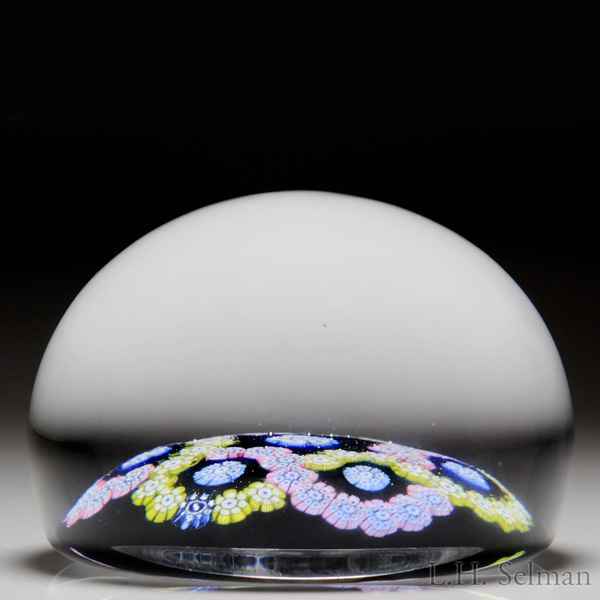 Whitefriars 1975 interlaced trefoil garlands paperweight. A large blue and white complex cane sits at the center of two interlaced trefoil millefiori garlands, one of pink and one of chartreuse complex canes, with an additional blue complex cane resting within each of the six loops. Translucent very dark cobalt blue ground. Signature/date cane. Surface wear. Diameter 3 3/8".